This spacious 2 bedroom/2 bath home offers many nice floorplan details - Screen porch on front opens to living/dining combo with vaulted ceilings, over-sized eat-in kitchen with large breakfast bar and separate dinette. Additional family room across rear of home opens to a glass enclosed porch. Nice brick paver driveway, 2 car garage with workshop space. 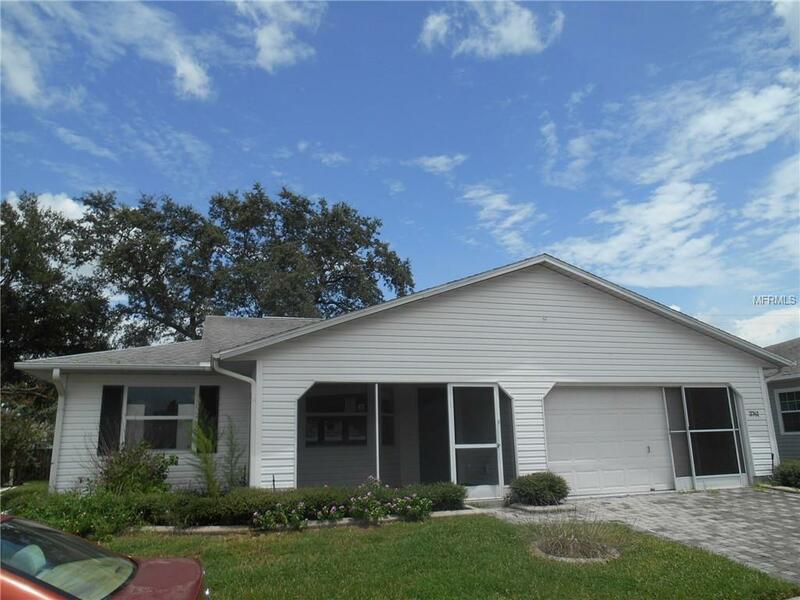 This home is minutes away from excellent medical facilities, restaurants, shopping, and I-4. HIGHLAND FAIRWAYS is a friendly 55+ gated golf community that features an In-Ground heated pool & spa, Tennis Courts, Shuffleboard, private golf course (membership required), Fitness Center, Fishing Lake with dock, Incredible clubhouse with plenty of community activities and clubs to keep you busy. This is a Fannie Mae Homepath Property.